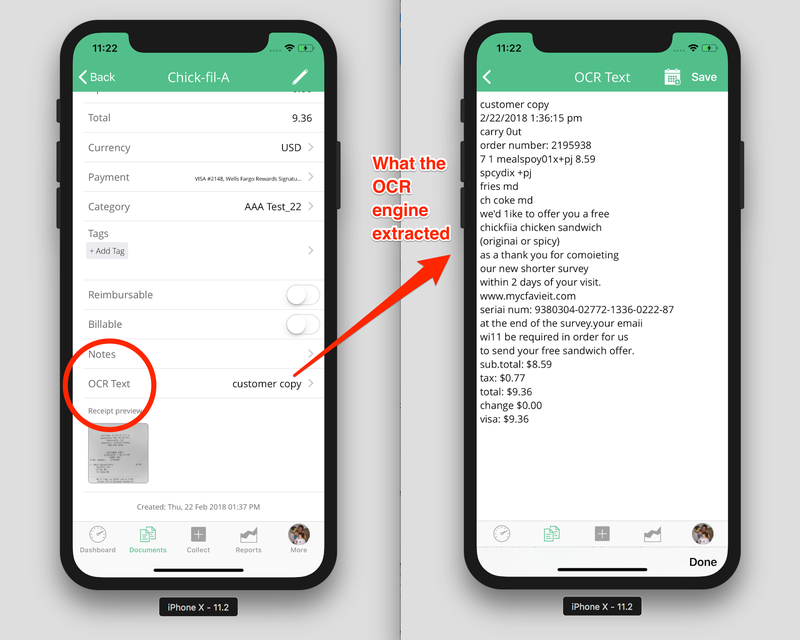 You might have spotted a tab in the web app called "OCR line by line text" or inside the mobile app "OCR Text". This is the text that the Veryfi OCR Engine extracted in real-time (as shown below). Not seeing any OCR Text? Let us know and we will enable it for you. By default this feature is turned off but we will happily turn it on when asked.